All versions require Origin DRM. In-game Vsync caps the frame rate at 30 FPS. Disable in-game Vsync. Cutscenes run at 30 FPS (see 60 FPS). Gameplay is uncapped, but cutscenes and menus are capped at 30 FPS. High frame rates break engine sounds and cause tire smoke to become thicker and move faster, often filling your entire screen in snowy areas. DSR Supersampling AA can be enabled for GeForce GTX 600 series or later video cards with the 344.48 WHQL or newer drivers. Windows 8.1 users should run the game in Windows 7 compatibility mode to increase stability and performance. If DSR is not displayed correctly (part of the display is cut off of the monitor), exit the game, toggle the desktop resolution to a higher setting in the Nvidia Control Panel, then reboot the game. The desktop resolution can then be reverted to native. Go to Game Properties in Origin. Under Command Line Arguments, type in -GameTime.MaxSimFps 60 -GameTime.ForceSimRate 60+. The fix will sometimes break a rolling start at the beginning of a race, requiring manual acceleration and making you fall behind in the race. It also speeds up physics. Xbox 360 Controller hints are shown, even if you don't use it for menu. Unplug the controller to see hints for keyboard. 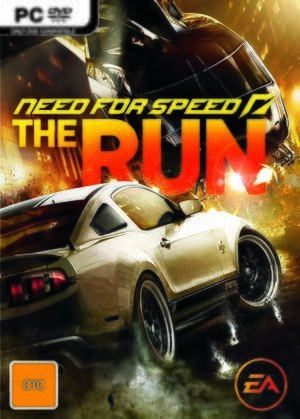 Use Helix Mod: Need for Speed: The Run.